This comprehensive source provides requirements for private fire service mains and private fire hydrants. 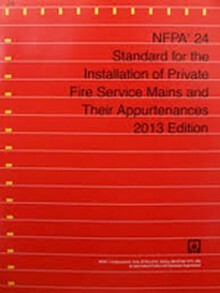 Construction Book Express carries the latest NFPA 24 code and handbook. Ensure adequate water supplies for fire protection with the latest NFPA 24!